Kohl's is my closest department store. So, it has really become my go-to store for my shopping needs for the family and for gifts! I really love the Kohl's Cares Books and Plush Animals that Kohl's features both online and right in the front of their stores. Not only are the books and animals very affordable at $5.00, but also these are gifts that give back: 100% of profits go back to charity!!! Kohl’s invites the next generation of readers to discover the magic of the iconic Little Golden Books, as part of the new Kohl’s Cares collection. Marked with the historic gold-foil spine, each keepsake book brings storytelling to life with every turn of the page, creating lasting memories families will cherish for years to come. Books and plush toys are priced at $5 each, with 100 percent of net profit benefiting children’s initiatives nationwide. Adults and children alike will delight in the enchanting storylines and colorful illustrations in four separate editions of the 3 in 1 Little Golden Books Classic Collection. Each high-quality, hardcover book features not one, but three separate stories bringing together some of Golden Books most beloved stories and new tales that are sure to be a favorite on every child’s bookshelf. Happily-ever-afters abound with The Classic Fairy Tales Collection. Little imaginations will thrive with tales including The Three Little Pigs, The Three Billy Goats Gruff, Goldilocks and the Three Bears, Jack and the Beanstalk, Rapunzel, Little Red Riding Hood, Hansel and Gretel, and The Gingerbread Man. For 75 years, Little Golden Books have been distilling life lessons for young minds. Everything I Need to Know I learned from a Little Golden Book curates these real-life solutions in a humorous way that is sure to spark memories and bring a smile to every adult’s face. The Kohl’s Cares collection is available at all Kohl’s stores and on Kohls.com now through early July. To date, Kohl's has raised more than $317 million through the Kohl’s Cares merchandise program. To reinforce the company’s commitment to children and families, and with your help, Kohl’s has provided financial support to hospitals across the country. The donations fund hospital outreach programs focused on children’s health initiatives and address the specific issues needed most in each hospital’s community. These books and plush animals are adorable! 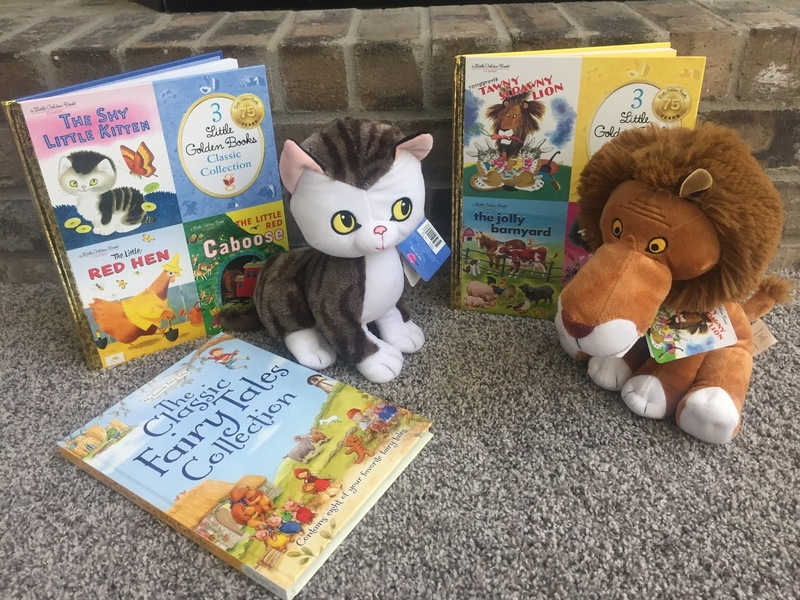 Be sure to check these Kohl's Cares books and plush animals out next time you are in Kohl's or are shopping Kohl's online. These make great gifts, too! Who doesn't love a book, right? Also, the quality of the stuffed animals is really top notch.